Parents can’t opt their children out of the My Health Record. Picture supplied. 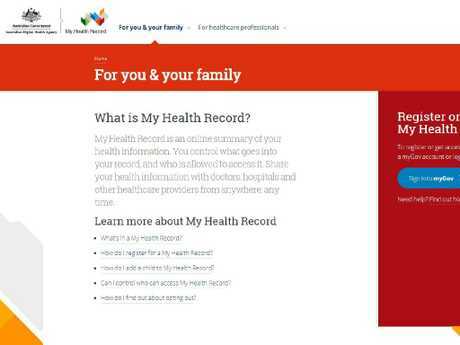 CONCERNED parents are complaining they can't opt their children out of the controversial My Health system as others report that wrong health data has been entered on to their online record by the government. Irate parents turned to social media to vent their frustrations including David Crisp who tweeted: "Have just been told I dont have any dependent children that i can opt out of the MyHealthRecord system.... WTF.... I guess my 2.5 year old doesn't count." "Turns out my wife can't opt our child out either! WFT...so whose child IS she?" Another mum Mary Jane tweeted "... I could opt out our 8 year old child and not the 4 year old. (online)"
The My Health Record system has caused controversy. Another parent told Twitter "we cannot unregister our 3 year old but we could our 8 year old. Adelaide mum Taryn said neither she nor her husband could opt their 12-month-old son Elliot out of the My Health Record online because the website says they have "no eligible children". Their son suffers from a medical condition they fear could affect his future employment prospects and want his privacy protected. Employers can't access the My Health Record only health professionals can. She says he had to call the My Health Record hotline on Wednesday and faced a 90-minute wait before call centre staff were able to opt out her son. 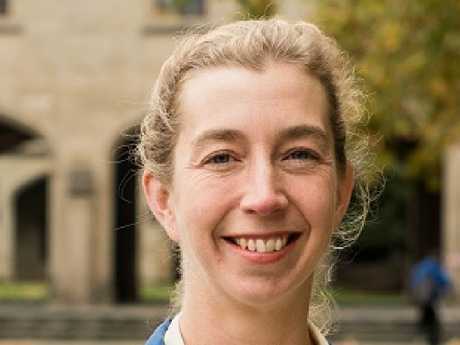 Meanwhile, Dr Vanessa Teague, an IT expert from Melbourne University, has revealed she was surprised to discover that Medicare information loaded on her My Heath Record says she visited a Queensland doctor several times even though she doesn't know him and has never consulted him. It comes as the man who used to head the government's digital transformation agency slammed the security settings on the controversial My Health Record. Paul Shetler, who headed the Federal Government's digital agency for 18 months in 2016-18, said if he was Australian: "I would probably opt out". Mr Shetler is also concerned the Government will use the data to investigate welfare fraud, Medicare fraud and tax fraud. Every Australian will get an online My Health record that could reveal sensitive health information such as whether they had an abortion, a mental illness, a sexually transmitted disease or a drug or alcohol addiction unless they opt out by October 15. 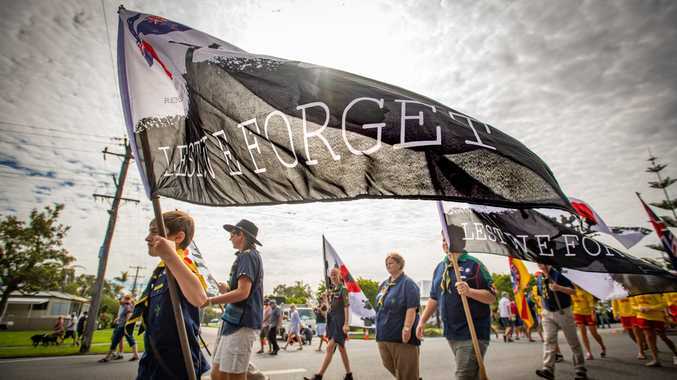 Twenty thousand Australians raced to opt out of the My Health Record on Monday and scores of angry Australians have been shocked to discover the government has created an online health record for them without their knowledge. Every Australian will get an online My Health record. People have had difficulty opting out online and have been facing telephone waits of over two hours in some cases to opt out of the controversial new system via a government phone line. "If you were launching a new product and you had 20,000 people willing to wait for an hour-and-a-half on the phone, be put on hold, and go through an obscure process and they signed up, you'd say that's a pretty amazing demand for that product. That's a pretty successful product. Now reverse that," Mr Shetler said. Health Minister Greg Hunt says the record will save lives and is highly secure. "It is not just bank-level security but the advice from the Digital Health Agency is that it has been defence-tested," Mr Hunt said. Mr Turnbull said on Tuesday, the "glitches" with the opt out system had been fixed but at 4pm Tuesday, the My Health record website said it was taking 38 minutes to cancel people's records or verify their identity. At 11pm Tuesday, this health reporter was unable to opt out online and instead received a message that: "We are unable to process your request please start again or call the helpline on 1800 723 471." 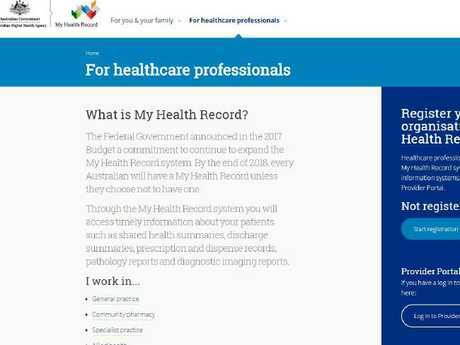 Sydney author Alaistair McGregor said when went to the My Health Record website on Monday to opt out he discovered he already had a My Health Record that had been set up in July 2016 without his knowledge. Mr McGregor has already been the victim of identity theft. When he went to vote in the recent state election he found someone pretending to be him had shifted his address on the electoral roll from Sydney to Brisbane and this is why he does not want a My Health Record. The Australian Digital Health Agency said if people are experiencing any difficulties in regards to opting out online, "the agency encourages them to call the helpline".